Our drag and drop form builder makes it easy for you to collect information from your customers. Choose from contact forms, RSVP forms and surveys making it easy to gather comments, contact info and responses from your website visitors. We even have a file drop box element that accepts documents, pictures or other file uploads from your visitors. 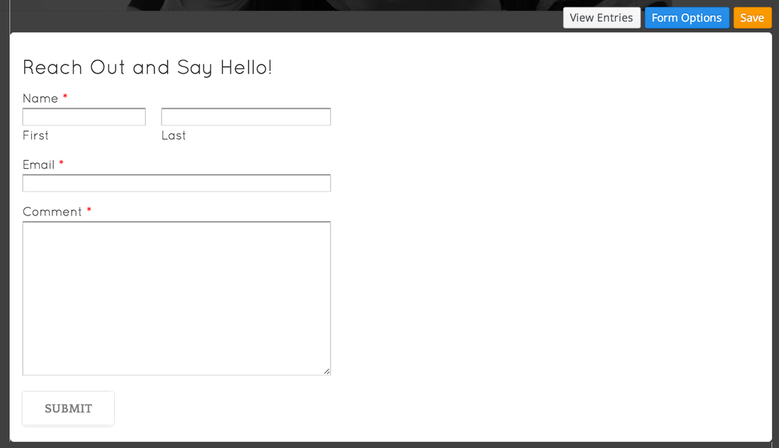 You can customize a form easily by adding text boxes, dropdown menus and check boxes into any configuration you need. When a form entry is submitted by a website visitor you are automatically emailed the details and the entry is also stored in your site's dashboard for you to review or respond to latter.